After a disappointing weekend, Chelsea look to get back on track towards becoming Premier League champions, as they welcome Manchester City to Stamford Bridge on Wednesday night. As title races go, this one was threatening to become boring. 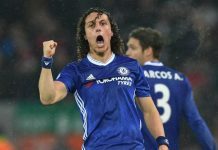 After all, the Blues enjoyed a comfortable lead at the top, and after taking the lead just five minutes into Saturday’s match against Crystal Palace, it seemed like Chelsea were once again destined to simply maintain the gap, or even extend it. But then the inevitable twist happened. A minute and a half and two goals later, and Chelsea found themselves down 2-1, and despite throwing everything they could muster at the Palace defence, the equalising goal, let alone a winning goal, just wouldn’t come. Wednesday night, Chelsea hope to chalk up that 2-1 defeat to Palace as “just one of those” days by defeating Manchester City, but they’ll be facing a City side that have a little bit of their own point to prove. Manchester City didn’t quite have the weekend they would have hoped for, either. Knowing that Chelsea had dropped points on Saturday, a win in their match against Arsenal on Sunday would have brought them to just 9 points off the league leaders with a chance to cut the gap to 6 with a win at Stamford Bridge. But a 2-2 draw at the Emirates wasn’t the result they were hoping for, nor was their performance in that match one that will live in the memory. City opened the scoring, and it looked like Arsenal might be on the road to another humbling at the hands of a rival. And then a funny thing happened. Inexplicably, City took their foot off the gas, didn’t kill the game when they had the better of the play, and allowed the home side to equalise both times City took the lead. City manager Pep Guardiola won’t be pleased with the fact that his side appeared to lose intensity during various periods in the match, which likely cost them three points in a match that they could have easily controlled in the early stage, and his side will be aware that slackness can easily be punished by a much more ruthless Chelsea side. Meanwhile, on the other side, manager Antonio Conte will be hoping that the defeat to Crystal Palace won’t weigh heavily on the minds of his players, and he will also hope that Chelsea’s wastefulness in front of goal on Saturday isn’t part of a growing trend. 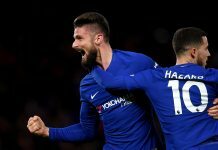 Against City, who will look to dominate the ball, Chelsea must look to play on the counter attack and might only see one or two good scoring chances that they must put away. Conte will also hope that his side maintain their composure after the unsightly end to the reverse fixture at the Etihad Stadium. Sergio Aguero and Fernandinho both saw red cards on that day, the former being sent off for a shocking two-footed lunge on David Luiz, from which the Brazilian defender has yet to recover. In his press conference, Conte was quick to play down the incident as something that’s in the past, but he will know that his side must keep their emotions in check, especially when three points could help erase their title rivals’ remaining hopes of a Chelsea meltdown. With both sides really needing three points, an entertaining contest is what might be expected. However, a point isn’t really the worst result for either team, so it could be a close, cagey affair. Then again, Manchester City don’t really play in close, cagey ways, and their defence always looks as if it could concede goals. If Chelsea keep their focus and finish their chances, another 3-1 victory isn’t out of the question. Next articleCan Chelsea Hold Their Nerve?